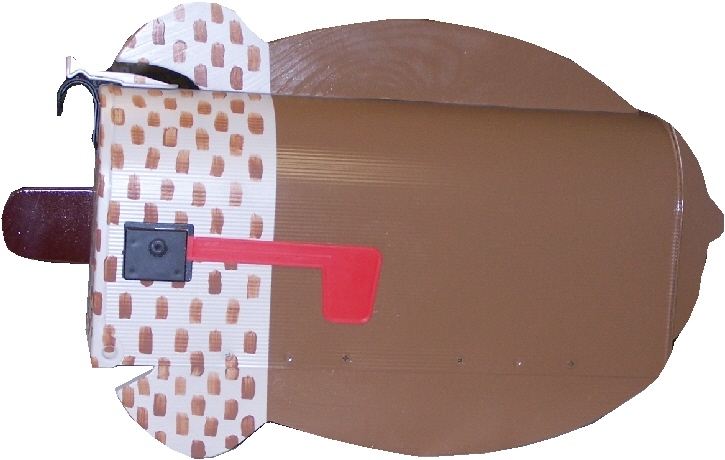 Please allow 6-26 weeks for your mailbox to be built and shipped. All Handpainted boxes 6-8 weeks to ship. 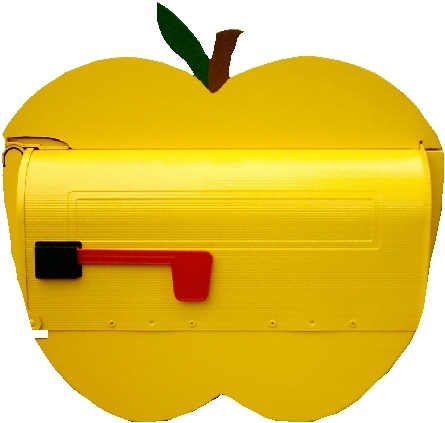 Welcome to our Fruits and Flowers mailbox page. 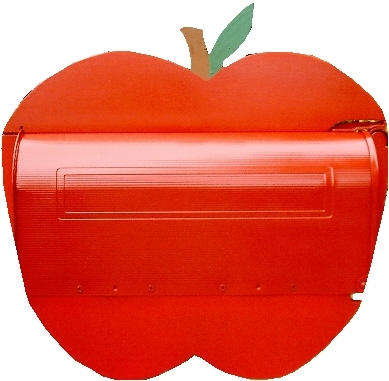 Here you can find basically any form of fruit or flower mailbox you could imagine. 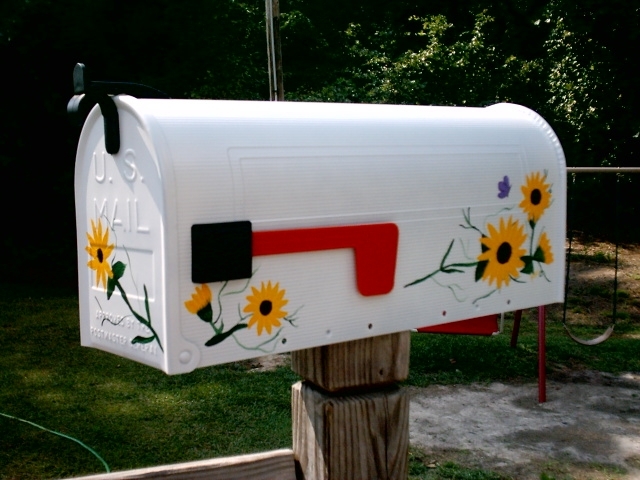 Well if we do not have it then just email us and we will paint it for you. 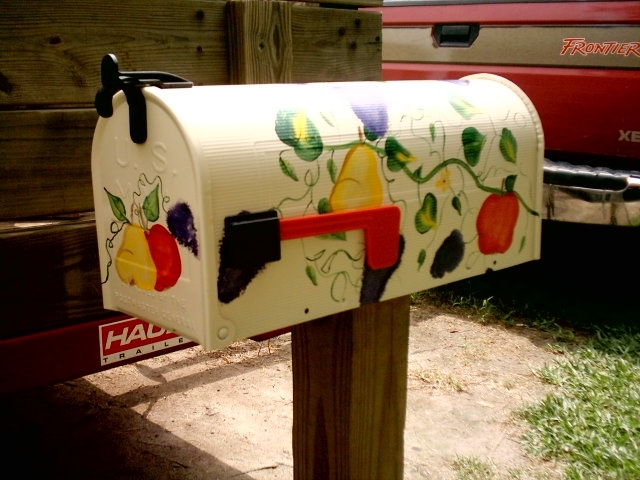 Our Artists are talented and ready to take on that specail floral or fruit arrangement you love so much and put it on a mailbox so you can look at it every day when you check the mail whether is be an apple, pear, watermelon, peach, or any other fruit as well as roses, blackeyed susans, sunflowers, clamatis or any other plant. 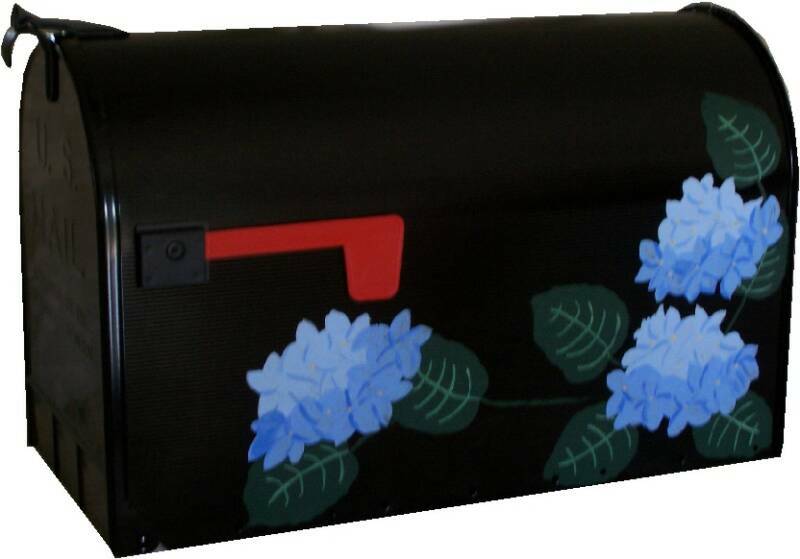 So get yours today and start a new trend in your neighborhood or either top off with our superior mailboxes. 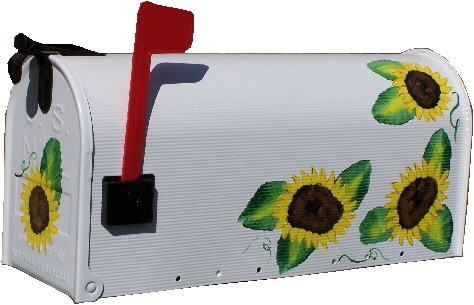 All mailboxes are in standard size. 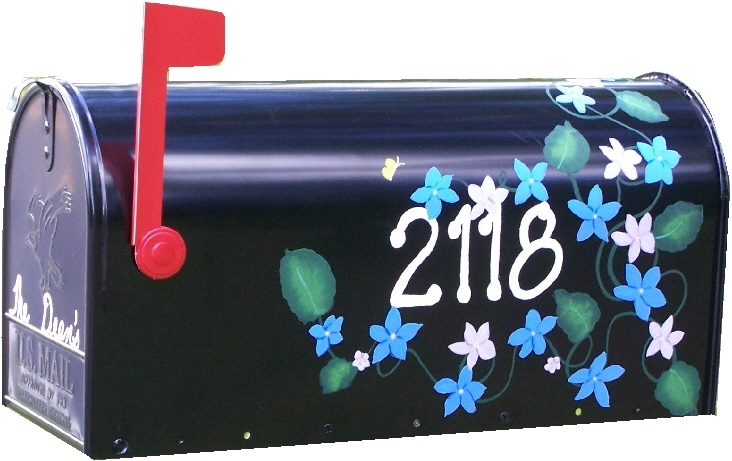 If you want a medium or Jumbo sized mailbox then email for prices.